4 It’s time for a Pixelbook "Pro"
Google’s hardware division is a rare success story inside a remarkably successful company - and one that has taken the better part of a decade to meet that definition. Its ambitions in the physical product space have grown from a geeky internet sideshow into a full-scale retail assault, and 2018 saw that ascendance continue. For all the naysayers it’s had - and there have been many - Google continues to position its hardware portfolio exactly where it needs to be: in stores. 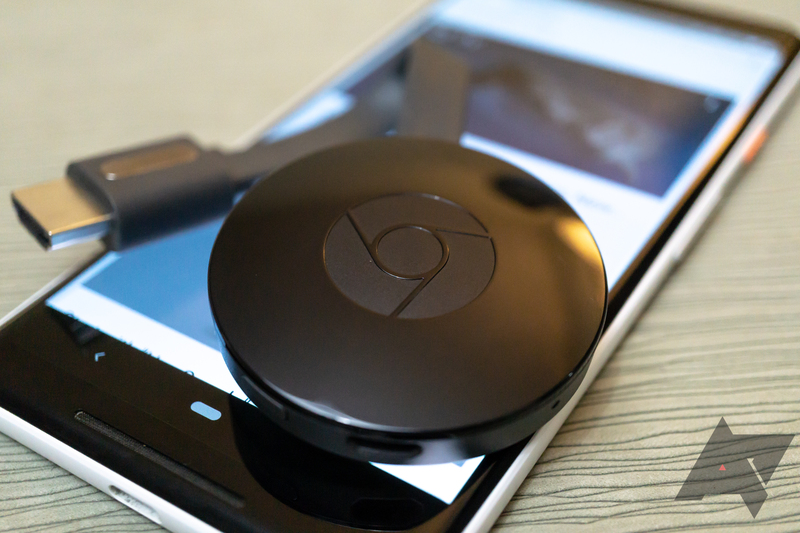 Chromecasts and Home Minis litter hundreds of Walmarts, Targets, and Best Buys, and Pixel smartphones are in Verizon locations across the country. Based on analyst estimates, that hardware is also becoming a moneymaker - Google reportedly took in $3 billion in profit from the division this year. If Rick Osterloh was getting a report card for his leadership from a business standpoint, he’d undoubtedly be an ‘A’ student. But more material to us as consumers are the products themselves, and while 2018 certainly won’t go down as a “bad” year for Google hardware, it definitely exposed a few areas where the company does need to improve. The Google Home Hub is a hit, full stop. It’s the digital picture frame we always wanted, but never actually liked because of their cost, impracticality, and limited usefulness. The Home Hub is the world’s best digital picture frame, and you can use it for things like playing music, setting an alarm, or if you’re more ambitious, controlling smart devices in your home. It’s the home control center of the future that has been so long imagined, realized. And since Google Photos is so insanely popular, it’s simple to get all your pictures on it right out of the box. 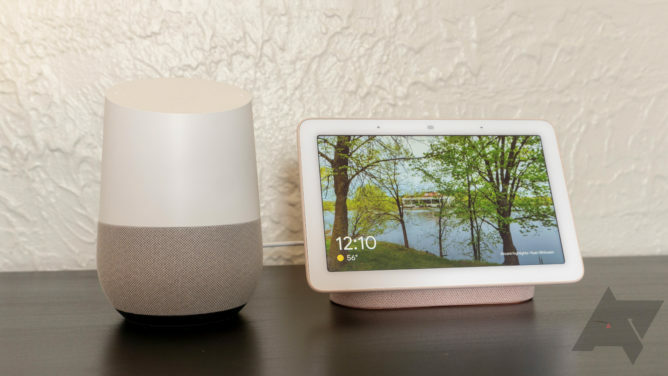 Google is going to sell a boatload of them, and I fully expect Home Hub to displace the standard Home in terms of sales in 2019. The standard Home feels increasingly shortchanged in Google’s lineup. Speaking of, the standard Home feels increasingly shortchanged in Google’s lineup. The Home Hub and Mini are available in four colors. The regular Home is available in… one. I strongly suspect this is an issue with it being the only Home product which has a plastic housing over its LED ring, making colors other than white potentially difficult to pull off without compromising the look of the lights. My guess is that we’ll see a refreshed version of the Home in 2019 with a new fabric-forward aesthetic that will allow Google to produce it in the same four colors it does the Home Mini and Hub. Google also could do with an audio-focused speaker that doesn’t cost $400. Amazon has this formula right with the new Echo 2nd Gen and Echo Plus, with the latter offering a better sonic experience without the need for expansive counter space (or the budget to match). The standard Home is perpetually “discounted” to $80 at this point, making for a $320 upgrade chasm in the lineup - it really needs to be bridged. A slightly bigger, beefier Home with more audio oomph would be a welcome addition to the family. The ability to pair them in stereo like you can with the Max would be icing on the cake. Android TV boxes have failed to penetrate the market in a meaningful way. Chromecast continues to be very successful, but with products from Amazon and Roku offering full smart TV interfaces and remotes for similar prices, it’s really starting to feel outclassed. 2019 should be the year we finally get a simple interface and a real remote control for Chromecast. Cable set-top boxes and smart TVs aren’t the answer we want, and it’s clear that innovation on Chromecast is being stifled specifically because Google wants Android TV to succeed, and a smarter Chromecast could undermine that. That’s the kind of backward logic I’d expect of Google five years ago, but in 2018, it really should know a hell of a lot better. If it means an Android TV dongle branded as Chromecast Plus or something, fine! But Google is in serious danger of losing its foothold in the smart TV space if it doesn’t do something to get Chromecast back in the running. Google’s attempt to replicate the success of the iPad Pro and Microsoft Surface Pro was met with a critical thud, and as I said in our review, there’s simply no good reason to buy one. The Slate is all but guaranteed to sell poorly, with ridiculous pricing and a confusing number of SKUs, ranging from $600 for a bare bones tablet with a crappy Celeron processor to nearly $2000 for a fully-loaded Intel Core i7 model with a keyboard and stylus. The Slate will likely be the target of much analysis from the hardware team's leadership going into 2019 - but I sincerely hope the Google doubles down for a second generation product instead of getting cold feet and giving up on it entirely. Here’s the thing: the Slate was doomed to be a half-baked product. Google really had no idea how a Chrome tablet would be received - that much is clear - but learning from its mistakes with the Slate will provide an immensely improved successor. 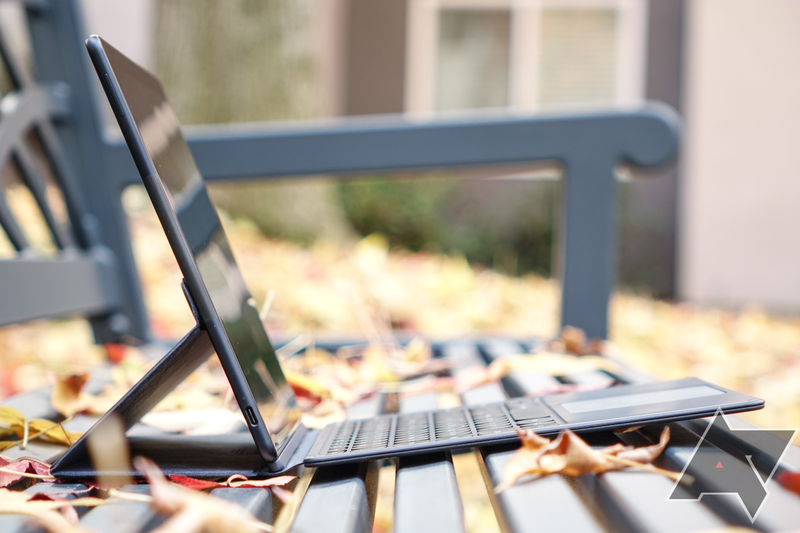 The Slate’s keyboard folio case is a complete disaster, with its one saving grace being a semblance of typing feel (the Pixelbook is still leagues better). It should be scrapped in favor of a new hinged design (the 3rd party Brydge keyboard is simply not great). The tablet’s rear camera is an atrocity, but that aside, the actual hardware seems fundamentally very good. The fingerprint scanner is fast, the display is amazing, and the front-facing speakers are fantastic. Battery life is excellent, and the Pixel Slate makes an excellent tablet for watching video. Why, then, is it getting panned so badly? The answer is Chrome OS. 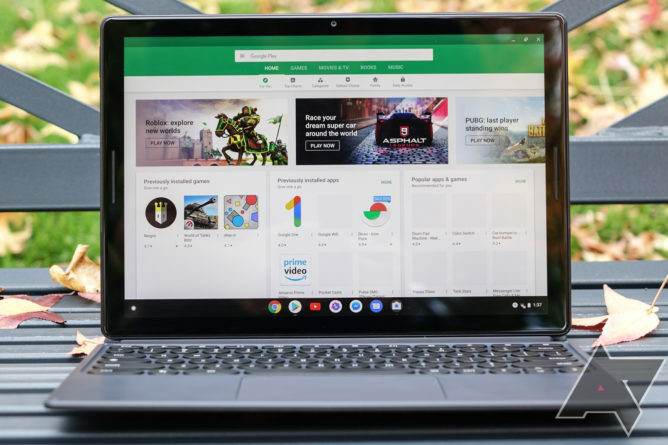 Chrome OS wasn’t built to be a platform for tablets, and the sorry state of Android app support makes that even clearer. While the Slate can handle the kinds of things a child would like to do on a tablet - and Chrome OS has robust parental controls - it falls incredibly flat when you actually use it for the one thing Google says it was designed for: experiencing the “full” web on a touch device. Until the Pixel Slate feels as nice to browse the web on as an iPad, its other advantages are essentially moot. The Chrome team needs to find a middle ground between the blown-up phone browsing experience of the iPad, with its intuitive controls and unflappable touch response, and the incredibly point-and-click world Chrome to date has lived in. It should start by looking across the room - at the mobile version of Chrome. Until the Pixel Slate feels as nice to browse the web on as an iPad, its other advantages are essentially moot. This is supposed to be an OS built on a browser, but the browser is often the worst part of using the Slate (as a tablet). That’s not good. It’s time for a Pixelbook "Pro"
I absolutely adore the Pixelbook. It’s my primary laptop, and despite a few shortcomings, it’s the one computing product I’ve owned that I feel totally confident recommending to just about anyone who asks. No, it doesn’t run Windows apps, and no, you can’t edit video on it. Neither of those things matters to me, and possibly-impending support for dual booting could finally end that inane conversation we’re forced to have any time the platform is mentioned. Chrome OS is a grown-up laptop platform, and the Pixelbook is the most grown-up laptop you can run it on. It’s time to acknowledge that laptops aren’t a one-size-fits-all product, though, and split the lineup into an ultraportable and a larger “pro” level machine. The $1650 i7 Pixelbook has been a silly product since it launched, and it’s still silly now: none of Intel’s fanless Y series chips are appreciably better than the other, and the m3 model is all anyone really needs. The ultraportable Pixelbook should have two SKUs: one with 128GB of storage and 8GB of RAM, and one which doubles both those figures. That’s it. A larger, thicker laptop - perhaps in the 14” range - with a fan-cooled U series Intel chip (meaning four physical cores) and ultra-quick NVMe storage should serve as the professional platform for those who demand the additional performance, like developers and multimedia types. 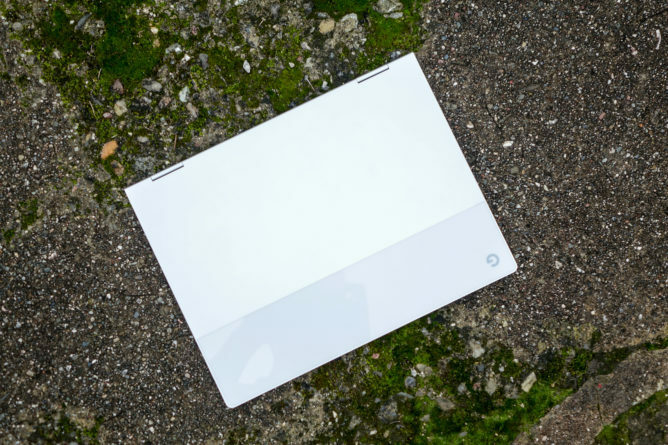 This will free up the smaller Pixelbook to focus on packaging and portability, while the larger pro model can simply refresh its guts every year to include the latest parts. I use the Pixel 3 XL every day - it’s an extremely good smartphone. The camera is fantastic (the wide angle selfie blows minds), it’s incredibly smooth, and the display is great. I happily recommend it to anyone looking for a phone, especially if they’re considering switching from an iPhone. But even as good as it is, the Pixel 3 really isn’t the Google phone I wanted to see in 2018. A Google-developed take on Face ID using machine learning is desperately needed to jumpstart the Android ecosystem back into competitiveness with Apple on biometrics. And leaving out a second rear camera for enhanced zoom just feels like stubbornness on Google’s part. Yes, we get it: the Pixel has the best digital zoom on any smartphone, ever! But a second camera would provide those amazing Pixel results without all the drawbacks digital zoom entails. Meanwhile, chances to catch up to other phonemakers or leapfrog them were squandered. The OnePlus 6T - a phone costing far less - has a much larger battery than the 3 XL. It also charges far more quickly, and using Bluetooth on it doesn’t actively make me want to tear my hair out. The number of issues at launch on Google’s phones remains legitimately embarrassing. And, of course, there are the bugs. While the very worst of the Pixel 3’s various issues seem to have been resolved with the December patch, the number of issues at launch on Google’s phones remains legitimately embarrassing. Just run a search of AP for ‘pixel 3 bug’ and you’ll see probably twenty separate articles we’ve written on distinct bugs and issues, and we don’t even cover all of the ones we discover (it would simply get annoying). It does seem Google has improved on hardware QA, as we’ve received almost no reports of defective phones this year, but the software is still shockingly buggy at launch for the company that literally makes Android. The Pixel 4 and 4 XL must up the game on battery life (the standard 3’s is legitimately disappointing), ship with more polished software, and integrate a second rear camera for more photography flexibility. Going with a single lens just to make a point about fancy digital zoom processing is peak Google: reinventing the wheel when all we needed was… a second wheel. Since the first Pixel phone launched in 2016, Google’s phone hardware has been all about premium. You paid a premium for fast and regular updates, good components (usually), and unfettered Android. The Pixel 3 and 3 XL cost $800 and $900, respectively, at full retail in the US (though they’ve gone on discount constantly). Then all these leaks showing off a Pixel 3 and 3 XL “Lite” came out of nowhere, and it very much looks like Google plans to launch them in the US early next year. Google will be fighting for attention in what has long been dubbed the smartphone “no man’s land” in the US. It’s hard to imagine a compelling marketing story for these phones, which are almost certain to be outclassed by cheaper or more powerful unlocked handsets globally. This is less of a problem in the US: the OnePlus 6T really is the only Android game in town in the $400-600 range here, and it’s only sold on T-Mobile. 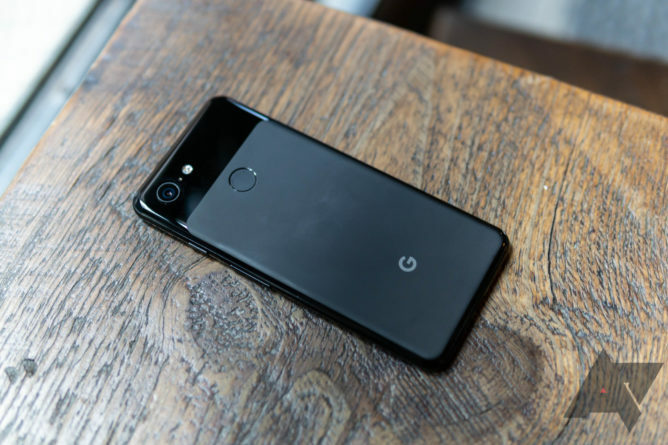 The cheaper Pixels will be sold on Verizon (and likely Google Fi), which essentially puts them in competition first and foremost with older iPhone models and last year’s Samsung and LG flagships. Google’s bet here, I believe, is that by announcing close to the launch of Samsung’s Galaxy S phones, it can piggyback on a particular group of customers: those who are interested in upgrading to the latest and greatest, but are put off by the rising cost of doing so. Offering a newly-released Pixel with all the requisite “perks” - unlimited photo storage, a great camera, no bloatware - at a price more in line with a smartphone that’s a year or two old could prove compelling. But even I still think it’s a longshot. Google will be fighting for attention in what has long been dubbed the smartphone “no man’s land” in the US, and while I do think these phones will get glowing reviews, I’m not sure any significant group of consumers is going to care. The US smartphone market continues to be be skewed heavily toward the top and bottom ends of the MSRP range, with lots of very cheap phones and lots of very expensive ones, but very few in between. I don’t know that there’s a real strong interest among mainstream consumers - not to be confused with commenters on an Android blog - for a product in the middle. Google did a lot of the right things in 2018 to ensure its hardware business kept growing. And in one area - smart displays - Google took the market by storm. The Home Hub is a game-changer in the way the Echo was for smart speakers, and I strongly suspect it will see huge success through word-of-mouth marketing, similar to what Chromecast started five years ago. But it was definitely the exception to the rule, not the broader theme. The Pixel Slate is a brilliant product from a hardware perspective, but its software and positioning in the market all but assure it will fail to woo consumers in meaningful numbers. The Pixel 3 and 3 XL will probably sell well, but they were exceptionally iterative as products, and don’t deserve special recognition as milestones in Google’s greater hardware history. Perhaps the next idea due for an appointment at the innovation chopping block should be the smartwatch - and a certain smartwatch platform. In 2019, Google needs to focus on bringing Nest into the larger Google fold (an all-in-one Nest/Google One plan would be nice), redouble its efforts on the smart TV with a premium Chromecast, and be more daring with its fourth-generation Pixel smartphones. Expanding the lineup for the Pixelbook in the form of a premium professional notebook and for Google Home by segmenting into a basic and a premium audio product will help cement Google’s leadership in the Chromebook and smart speaker spaces. Will all these things happen? Almost certainly not. And the fact that we have so many kinds of hardware to discuss is, perhaps, most telling: the company is succeeding and growing. But so are its competitors, many of which have years of experience that Google lacks. As its hardware business evolves from a “side bet” into a full-fledged division, Google would do well to remember that a willingness to tear an idea down and start all over again - Chromecast, Chromebooks, and Android itself being perfect examples - is what got it here. 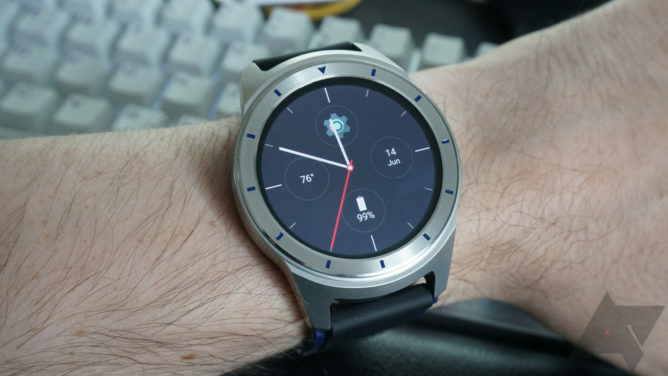 With that in mind, perhaps the next idea due for an appointment at the innovation chopping block should be the smartwatch - and a certain smartwatch platform.